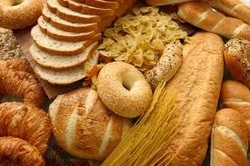 Gluten is a protein found in most grains including wheat, rye and barley. Derived from the Latin word for glue (that’s right…glue! ), gluten is what gives bread dough its elastic texture. But in the last few years, we are seeing a growing gluten-free food movement, suggesting that foods containing gluten may not be as healthy as we once thought. Or perhaps the issue lies more in the quantity with which we are consuming this potentially problematic protein? Either way, it is impossible to ignore the fact that gluten sensitivities and intolerances are indeed on the rise. For some people, gluten is a serious problem and causes digestive disorders and other unpleasant symptoms ranging from the very severe (celiac disease) to what might be considered more mild (irritable bowel syndrome), but is nonetheless bothersome to those who suffer from it. The obvious prescription for those affected is to strictly avoid gluten. These folks often find themselves trying to navigate their way around the now popular gluten-free sections of their grocery stores. Gluten aside, one of the main reasons Primal eaters choose to avoid grains is because of their ability to cause a rapid spike in blood sugar, necessitating the release of the fat storage hormone insulin. Insulin’s job is to store nutrients for later use. Back in our hunter gatherer days, we would have been able to seamlessly draw on our body fat reserves when food scarce, which it inevitably was from time to time. But today in most developed countries, starvation does not pose nearly the same threat it once did. With easy access to a plentiful food supply (carbs), we continually send our bodies the message to store fat, but rarely are we under the proper circumstances (low insulin production) for the reverse to be realized: to utilize those same body fat stores for fuel. In other words, we are always storing up for the winter, but the winter never comes. Gluten-free products, often made with rice flour, potato starch, or tapioca starch, will spike blood sugar even higher than wheat does. So from a weight management perspective eating from the gluten-free section certainly isn’t the answer, and is part of the reason why we’re seeing so many overweight celiac sufferers nowadays. Sure they are avoiding the problematic protein, but in the process they are sending themselves powerful signals to store (often unwanted) body fat. As Dr. William Davis argues in his bestselling book Wheat Belly, modern wheat has been so genetically modified it doesn’t even look like the same plant our great grandparents would have remembered. The safety of the now two-foot high dwarf variety of wheat we all consume today has never even been tested on human beings! The bottom line is to eat gluten-free (ever heard of the Primal diet? ), but to be very skeptical of products that are marketed to us as gluten-free. Please don’t fall into the trap of assuming that all gluten-free foods are healthy. Marketers have exploited our lack of knowledge around this subject, and as always, it behooves us to do our own research into the foods we put into our bodies. It has been argued that we’re all intolerant of gluten to some degree whether we realize it or not. Speaking purely from personal experience here, it is possible for a young person who is lean, fit and healthy to feel noticeable improvements following gluten elimination. As I’m fond of saying, “You don’t know how well you can truly feel until you finally start feeling well.” We simply don’t have to endure those aches and pains we’re told are a normal part of the aging process. How liberating! Have you ever noticed how we’re encouraged to eat grains at every meal, yet as soon as there are signs of gluten intolerance the opposite advice is critical to the recovery process? “Eat your whole grains, eat your whole grains, eat your whole grains. Oh, you have celiac disease? 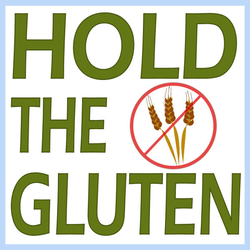 Avoid whole grains and all foods containing gluten like the plague!” Perhaps we should be questioning more critically and objectively whether or not our primal physiology is equipped to handle gluten, and if so, what is a safe dose?